Learning about new products is always exciting here at MO. Testing and reporting on motorcycle-related products is an important (and fun) part of our job. 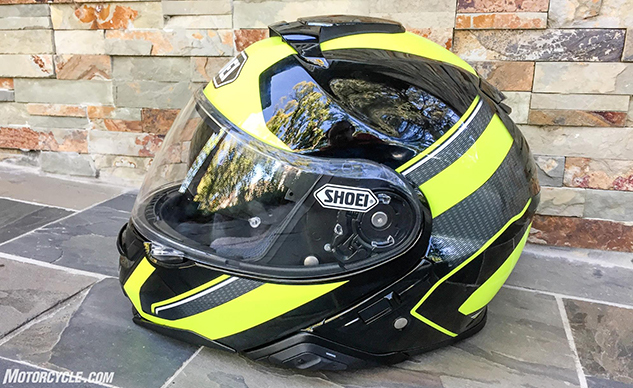 When the new product in question is a makeover of one of our favorite pieces of gear – as is the case with the Shoei Neotec II – the excitement is even more pronounced. (There was even a little behind-the-scenes wrangling over who would be assigned the review.) Still, I’ve got to be honest. I was also a little bit worried about the update. 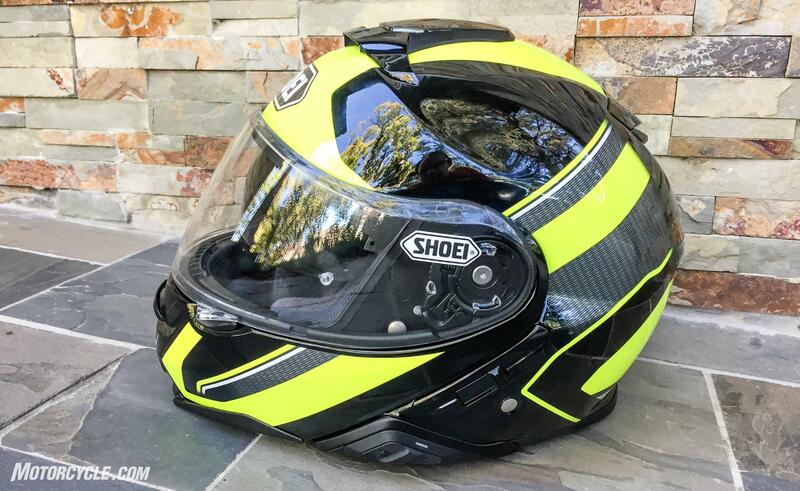 What if Shoei changed my absolute favorite modular helmet – the helmet I wear almost every day – in ways that made me like it less? Given the popularity of the Neotec with the riding public, I’m sure I’m not the only one who may have wondered if the changes would all be good. Well, I needn’t have worried. 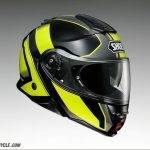 While Shoei may have refined just about every aspect of the Neotec before adding the II to the name, I haven’t found a single place where I would choose the old version of the helmet. That’s before I even consider the availability of an optional, bespoke communication system in the form of the Sena SRL, but we’ll get to that in a bit. For now, we’ll focus on the helmet itself. 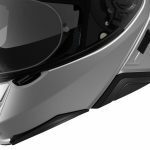 Other than the DOT-certified safety rating, the most important feature of a motorcycle helmet is its aerodynamics, which affect everything from helmet stability to wind noise. 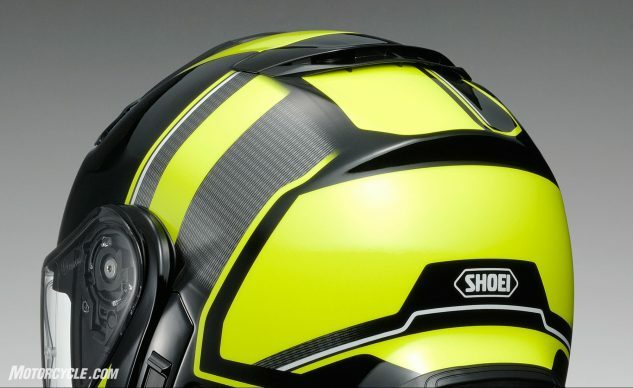 According to Shoei, the Neotec II’s shape was optimized in the company’s wind tunnel to reduce lift and drag at elevated speeds. Since different motorcycles have different riding positions, the Neotec II’s shape was tuned to account for a wide variety of orientations towards the wind. For example, the design of the top air outlet acts as a spoiler, reducing helmet lift, in an upright riding position. Thanks to wind tunnel testing, the exhaust vent (top) acts a spoiler when the rider is in an upright position. Changes were also made to the shape of the chin bar. The “Vortex Generator” on the leading edge of the seam between the chin bar and the main section of the helmet improves the flow of air over this opening that is typically a major source of noise on modular helmets. 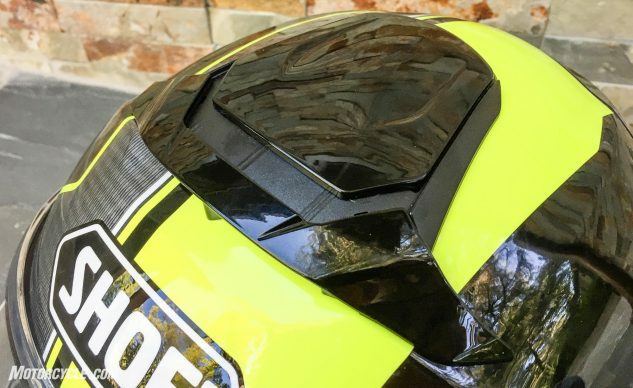 Similarly, an “Aero Deflector” on the base of the chin bar acts as a spoiler to manage the airflow around the base of the helmet, reducing noise through improved aerodynamics in a variety of riding positions. The Neotec II cuts through the air without a hint of lifting – even at supra legal speeds. I tested this both sitting bolt upright in the saddle and hunkered down in a sport-riding crouch with no perceptible difference in stability. Similarly, when looking over either shoulder for checking my blind spots, the helmet didn’t interact with the wind in any way. 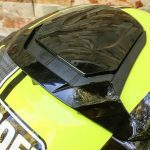 In recent years, premium helmet manufacturers have been spending an increasing amount of time on decreasing the wind noise that motorcyclists are subjected to as they ride. Many of the improvements to the Neotec II were designed to assist in this goal. The new visor is a prime example. While the 3D injection-molded CNS3 shield was designed to be optically correct and give a large field of vision, its new sealing system provides water- and air-tightness to better seal out wet weather and wind noise. 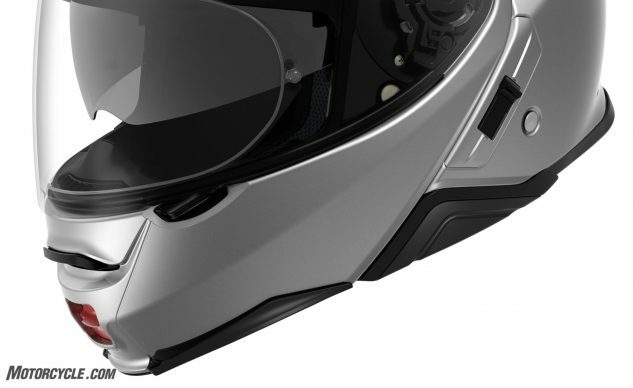 Using a system similar to that released on the Shoei RF-1200 in 2014, the visor has stiffening ribs at the top and bottom to decrease the amount it flexes as it’s being opened or closed against the detents that hold the visor partially open. 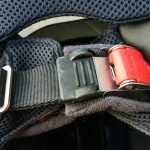 When snapped into the fully closed position, the spring-loaded base plate physically pulls the visor back against the rubber weather stripping that lines the top and bottom of the helmet’s eye-port, completing the seal. 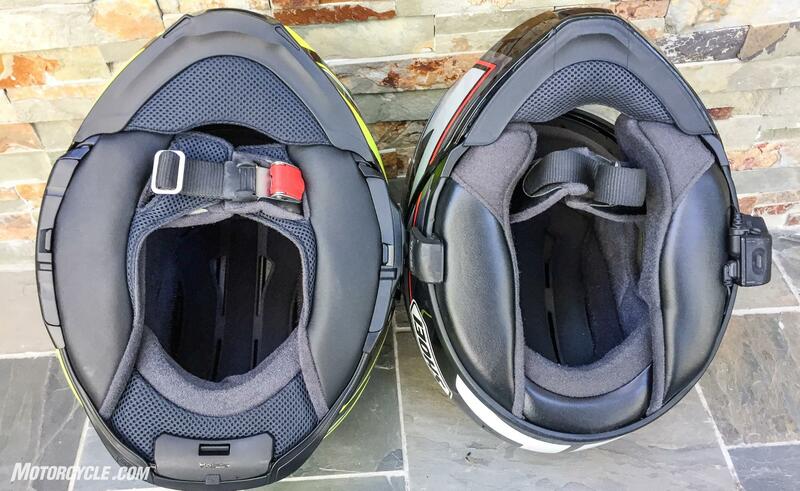 The base of a helmet is the place where most noise gains access to the rider’s ears. Shoei has taken steps to address this issue. First, the removable chin curtain reaches back further towards the chin strap. The curtain is constructed with noise-damping foam sandwiched between layers of fabric. 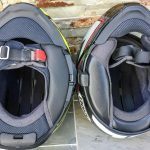 New to the Neotec II are the “Noise Isolator” cheek pads that wrap around to make the opening smaller below the rider’s ears and then expand slightly to fill more of the gap to the rear of the chin curtain. Here is a side-by-side comparison between the Neotec (right) and the Neotec II (left). The Noise Isolator and the chin curtain cover a large amount of the formerly open real estate under the helmet. The larger chin curtain makes the Neotec just about impossible to don with the chin bar closed, but how many modular helmet owners would do this, anyway. Out on the road, in a direct comparison between the Neotec and the Neotec II, the noise levels reveals a clear difference. The chin curtain combines with the Noise Isolators to create an environment that I would gauge as being approximately 10% quieter. Although the noise level is lower, I would still recommend protecting your hearing by wearing earplugs when riding at highway speeds. The only question I have remaining about the effectiveness of this combination of coverage of the helmet’s openings concerns what the airflow will be like in around-town traffic during hot summer weather. In those situations, I expect to crack the visor a bit more frequently than I would with the previous generation. This doesn’t seem like it will be a big trade-off for the increase in quietness every time I ride. Although the top vent offered plenty of cooling breeze, it was difficult to open/close with gloved hands. Helmet venting is always a compromise between airflow and the noise that the atmosphere makes while moving through the helmet. The redesigned, larger chin vent is much easier to open with a gloved hand and flows an impressive amount of air. The opening’s shape feels like it actually catches the wind and directs it into the opening which, in turn, directs it towards the inside of the visor. The chin vent’s fat lower lip catches the air and redirects it into the helmet quite effectively. While the effectiveness of the three-position top vent is quite noticeable when out on the highway, the operation of the vent is much more challenging. The slider shape which is so slippery to the wind also makes it difficult to slide open with gloved fingers and requires quite a bit of downward pressure to achieve an effective grip. 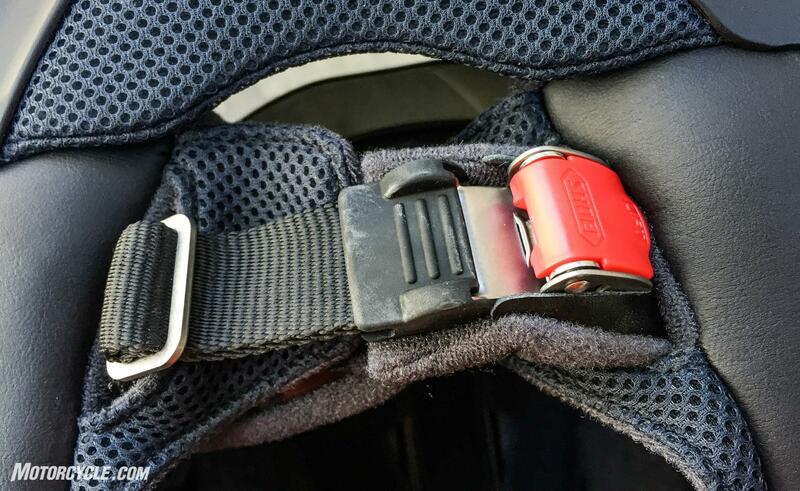 Consequently, the middle position (half-open vent) is difficult to achieve when riding. I had more success changing the vent from the fully-closed to the fully-opened position (and back). Overall, I’m quite satisfied with the amount of air that the Neotec II flows, and I rank it as allowing slightly more cooling breeze than the helmet it replaces. 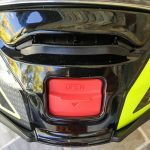 With the attention to detail Shoei directed at the features we’ve covered so far, it should come as no surprise that the build quality of the Neotec II places it firmly in the premium helmet category – as it should with an MSRP of $699 for solid colors and $799 for the Excursion TC-3 that I tested. From the Aero Deflector (black) on the bottom of the chin bar to the slider for the internal sunshield, the fit-and-finish of the Neotec II is top notch. For example, the locking mechanism of the modular chin bar is constructed of stainless steel. The centrally-located lock release (which looks like the only part that carried over from the old Neotec) is large and shaped to accommodate the thick fingers of insulated gloves. Additionally, the Neotec II now latches more securely in the fully flipped-open position for folks who like to ride with the chin bar up – though Shoei’s lawyers hedge their bets with the following statement: “In order to maximize head protection performance, riding your motorcycle with the face cover in the fully closed position is strongly recommended.” Personally, I can’t imagine doing this at anything but the lowest speeds since the open chin bar is an aerodynamic nightmare. 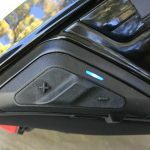 Among the premium features, the internal sunshield is activated by cables and not a spring that can lose strength over time. Additionally, the passages for routing the mechanism’s parts have been made smaller to help reduce noise. 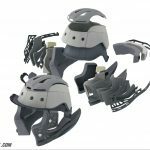 The external slide is easy to feel with gloved fingers on the left side of the helmet. Shoei finally eschews the D-ring in favor of the Micro Ratchet Chinstrap. In a Shoei first for the American market, the chinstrap’s D-rings have been replaced with a Micro Ratchet Chinstrap. Once the rider sets the length of the chinstrap, securing the helmet is as simple as sliding the stainless steel interlocking ratchet halves together for a secure fit. Removing the chinstrap only requires lifting a lever. This is a feature I’ve watched with envy of the European market for years! Of course, the Neotec’s comfort liner is removable for cleaning. The cheek pads are available in different sizes if you don’t like the fit. The attention to detail exhibited in the comfort liner illustrates what separates premium helmets from bargain models. The Neotec’s head form is a long oval, and the XL fits my big melon right out of the box. 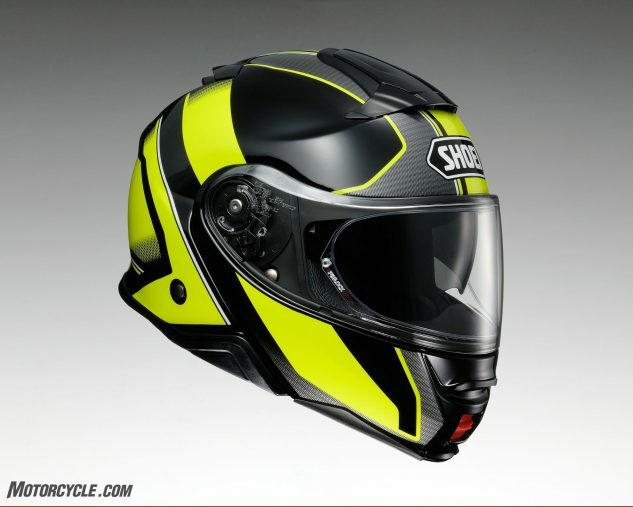 The exterior shell is Shoei’s Multi-Ply Matrix AIM construction which combines “fiberglass with lightweight organic and high-performance fibers.” The shell is produced in four different sizes to accommodate heads ranging from XS-XXL. Inside the shell, the rider’s noggin gets DOT-approved protection courtesy of a variety of Expanded Polystyrene foam densities which tune the impact absorption to the position in the helmet. Also, the different EPS sections allow for the tunnels to deliver the Neotec’s ventilation. What about the Sena SRL? 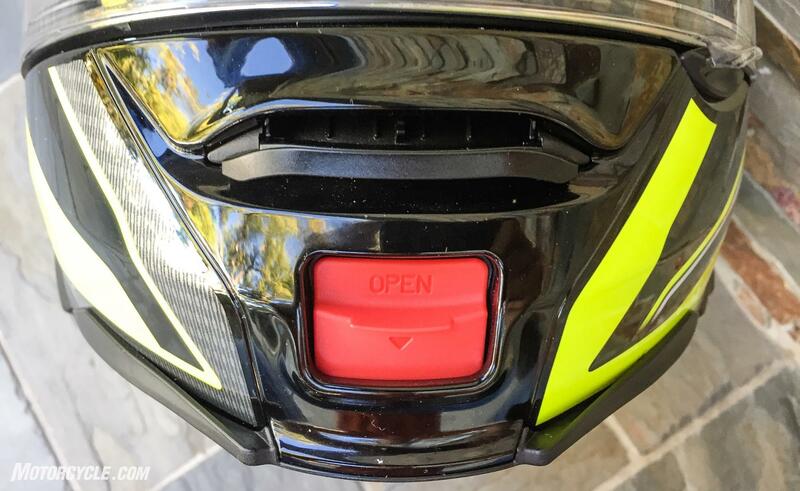 For many riders, I may have buried the lede by placing information about the Sena SRL (Shoei Rider Link) this far down in the article, but by no means does this lessen the importance of the inclusion of this Bluetooth communication system designed specifically for the Neotec II. 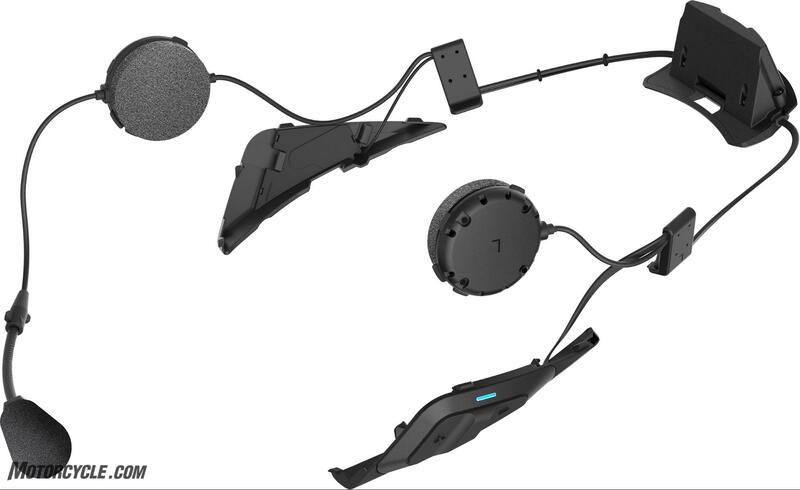 When you plunk down your $299, you get a communicator that fits perfectly inside the helmet with notches and cutouts for the microphone, speakers, the control panel, and even the battery. I’ve installed Sena systems tons of times, and the SRL only took about five minutes. A first-timer may need 15. 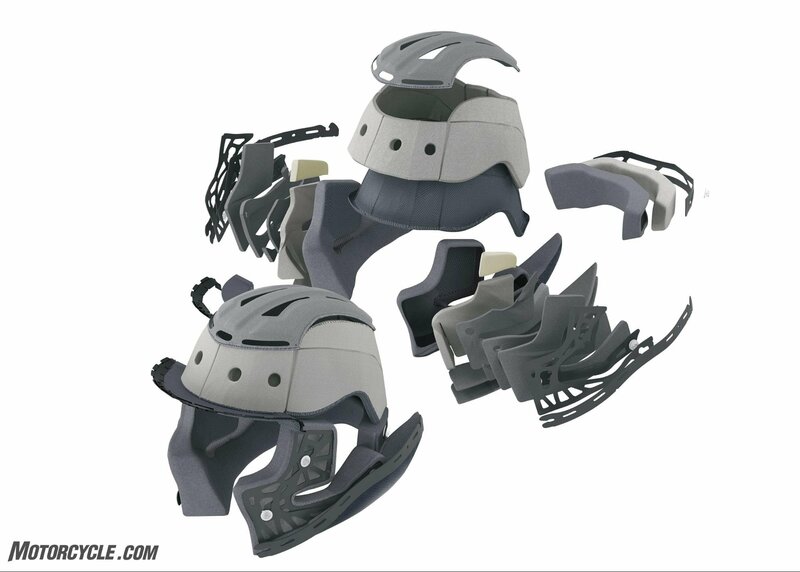 When the helmet and communicator’s designers work together, you get this tightly-packaged, easy-to-install system. Unlike the universal-mount systems, the SRL doesn’t stick out from the side of the hemet – meaning it doesn’t add to the noise of the helmet. 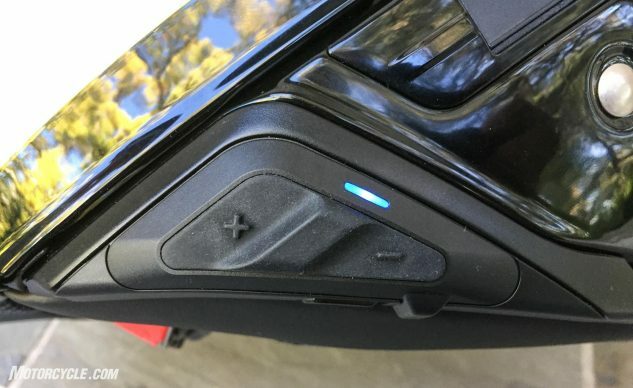 Instead, its three buttons are flush with the left side and look like a factory installation – as it should since both the Neotec II and the SRL were specifically made for each other. Operating the system takes place via pressing various combinations of three buttons, but if you don’t like that, you can change functions by simply saying “Hello, Sena” followed by a command. Very nice. Everything you need to control your Sena SRL is right here at your fingertips – or you can use your voice. The biggest advantage to having the SRL built in conjunction with the Neotec II is that the interaction between the two companies allowed the speakers to be placed more directly over the ear canals instead of above and slightly behind as with the previous Neotec. Since intensity is an inverse square of the distance from the sound source, having the speaker closer makes a huge difference in sound quality and the volume level to hear the speakers. The speakers are powerful enough to hear clearly when I’m wearing earplugs – which I wear, without fail, when I ride on the highway. As far as the quality of my connection with other riders, it is on par with the other Bluetooth communicators from Sena. Line of sight gives the most distance, but when I ride with someone, we usually don’t spread out too much. Using the phone is exactly what I’ve come to expect from Sena’s communicators. 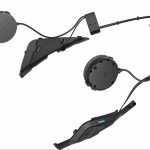 The reception on the other end of the call is clear, and the noise reduction feature of the microphone filters out all of the road noise – even when riding an unfaired motorcycle at more than 80mph. The only drawback to the SRL that I have found is pretty specific to me and my family: I get teased by my wife for placing the helmet on the kitchen counter when using the charging station we have there. 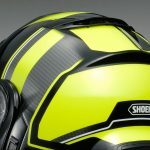 Shoei’s update to the Neotec modular helmet is a fitting replacement. 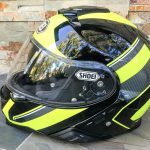 Every feature, from the aerodynamics to the venting to the noise level and even to the availability of the optional Sena SRL has made my current favorite street helmet even better. I can’t think of any higher praise than that. We are committed to finding, researching, and recommending the best products. We earn commissions from purchases you make using the retail links in our product reviews and other articles. Learn more about how this works.